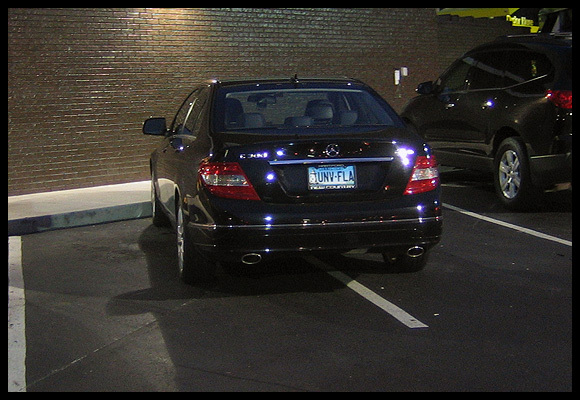 It’s funny, I swear that every 9 times out of ten that I see a car parked like this, it’s either a Mercedes or an Audi. And is it just me or does every Audi driver with those “new” led headlights — the kind that look like Christmas lights under the actual light — also drive like an a-hole too? Your car is a Volkswagen Jetta. With silly headlights. Welcome back to reality. Lose the ego. Oh, and as for the Mercedes in the picture… You’re not doing the University of Florida any favors with that vanity plate… I hope Tim Tebow smites you. Green Means Go. Red Means Stop. It’s been a month since your last post… are you still there? Yep — but I’m still trying to find a parking spot. Sayung an Audi is a vw is like saying a Lamborghini is an Audi. Hi Josh! You should look under the hood of your Audi. It’s a Volkswagen. Its a passat chassis. Not a Jetta’s, but good talk. Don’t be butthurt by nicer cars. No worries Mike — I won’t be “butthurt”. My Land Rover and BMW are nicer than that any day of the week. That, and I can park between the lines.